We went through the very quiet August streets of Chelsea last Thursday evening and stopped by the Jonathan LeVine Gallery to find a great show that included several works by Dan Witz from his Do Not Enter Project. 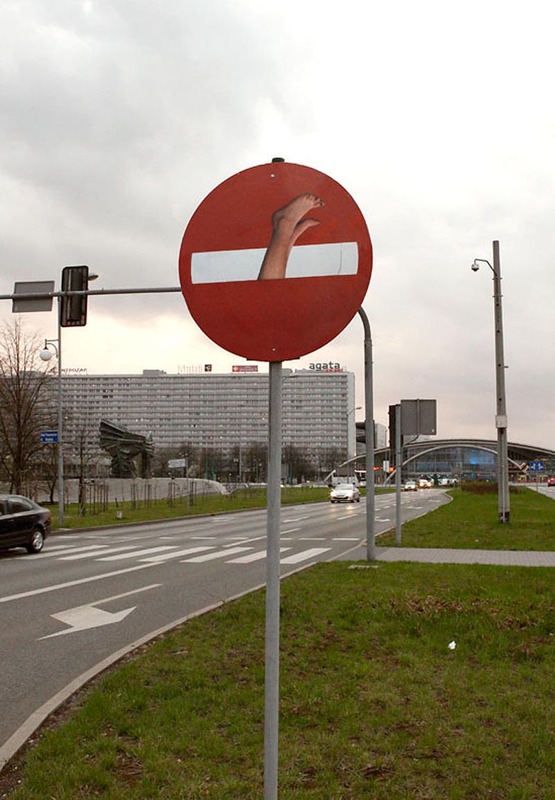 The Brooklyn-based artist started the project in 2007, creating his own modifications – sometimes humorous, sometimes politically charged – of Do Not Enter signs and has since continued with the project in 2011 and 2012. The signs have been placed on the streets of Brooklyn, Vienna, Norway and Poland. The bald, white face that appears in many of the signs is Witz himself. 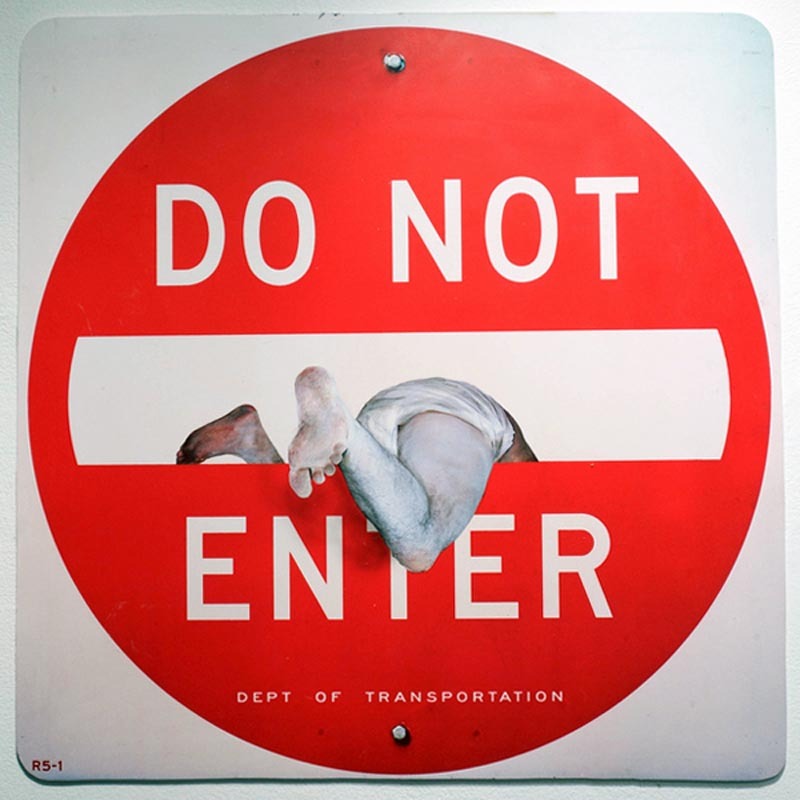 You can see some of Dan Witz’s signs at the Jonathan LeVine Gallery in NYC as part of the Detournement: Signs of the Times exhibit through this Saturday, August 25, 2012. 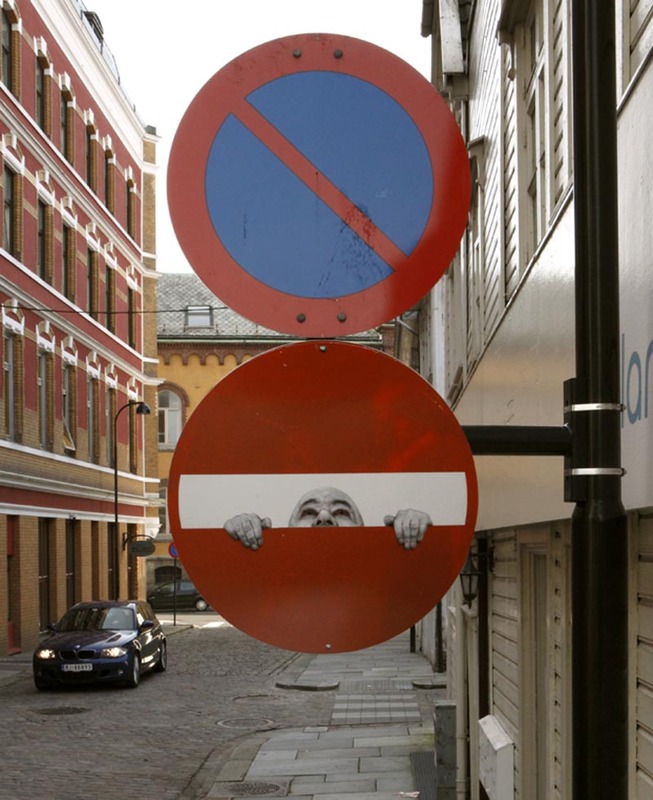 This entry was posted in Art, Event, Graphic Design, Pop Culture, Street Art, Stuff We Like. Bookmark the permalink. Sure! Go right ahead. Please give artist and gallery credit.